Did you know that releasing non native animals to the wild could cause massive animal die offs? According to the Minnesota Department of Natural Resources, this is exactly what happened at Lake Byllesby this summer. Common carp got sickened by an exotic Koi herpes virus, causing dead fish washing up on the shores in large numbers. The outbreak was caused either due to intentional release or escape of ornamental goldfish into the lake. 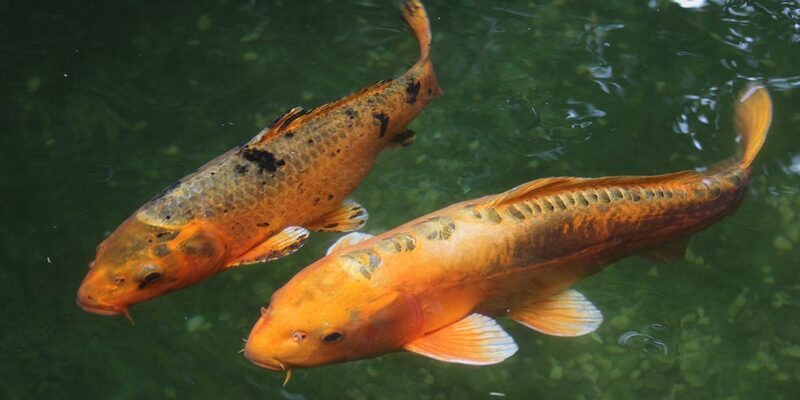 The good news is that the Koi herpes virus only affects the ornamental gold fish Koi and carp. It does not cause disease in other fish, animals or humans. Still, this is an unfortunate example of how releasing non native species in to the wild with possibly good intentions of “giving them freedom” can have devastating and surprisingly large scale effects. Battling the spread of invasive species and the havoc they create in the local ecosystem is hard after a new species is introduced. Thus, invasive species control concentrates on regulations that prevent introduction. This is the reason you can get a fine at the customs if you try to bring an apple into the country. In the case of carps, Minnesota has made it illegal to release ornamental fish into the wild. Unfortunately, the virus has also been found in several other lakes in southern Minnesota over the past year so clearly people are either not aware of the rule or choose to ignore it. How did canal water get to the romaine lettuce? The Multistate Outbreak of E. coli O157:H7 caused by romaine lettuce is finally over. The outbreak caused a total of 210 infections in 36 states, resulting in five deaths and 96 hospitalizations. The Centers for Disease Control and Prevention (CDC) has also finally found an environmental link to the outbreak: water from a canal in the Yuma region has been found to be contaminated with the outbreak E. Coli strain. It is still not clear how the canal water contaminated the greens. Tracing back the source of contamination was hard, because greens such as romaine are grown, packed and shipped by different companies before reaching store shelves and restaurants, making it more difficult to determine where the food became contaminated. Hopefully after this outbreak, the industry will take action in making trace backs easier. To keep vegetables safe, the CDC recommends customers to pay attention to food handling. Keeping fruits and vegetables separate from animal products, storing them in the refrigerator, washing hands often while preparing food and using separate clean cutting boards and utensils are all important habits that keep everyone in the table healthy. Six-month old Noah Thahane has died in UK due to severe Vitamin D deficiency, representing only the tip of the iceberg of widespread deficiency in risk groups. Researchers in UK are now calling for action, stating that the current UK recommendations for infants and children are overly complex and outdated a better prevention program is needed. Rickets was virtually eradicated from the UK since the Second World War. Unfortunately, the disease has made a new comeback in recent years in western countries around the world through immigration of high-risk populations. Our public health systems are struggling to adequately reach, treat and communicate with these populations. This is painfully evident with rickets. In the three cases of childhood rickets highlighted in the article, all of the mothers of these kids had participated on the antenatal and post-natal child surveillance and vaccination appointments. Still the system failed to communicate to them the importance of infant vitamin D supplementation, leading to severe health affects. Public Health systems must adjust their prevention programs to fit changing demographics, or we will face the return of many more forgotten diseases. Mothers around the (darker) parts of the world are recommended to supplement their infants with Vitamin D. This is especially important to people from the BAME groups - ie. Black, Asian and Minority Ethnic. Even though breastfeeding is the ideal form of infant feeding, it often does not contain adequate amounts of Vitamin D.